CanWest DHI is the exclusive distributor of DairyComp Software in Canada. For more information, please call DairyComp Sales & Support at 1-800-549-4373. DairyComp Herd Management Software is a CQM (Canadian Quality Milk) approved software program used by dairy herd managers, dairy advisors, veterinarians, and nutritionists around the world to record, store, and analyze herd activities, events, production, and productivity. 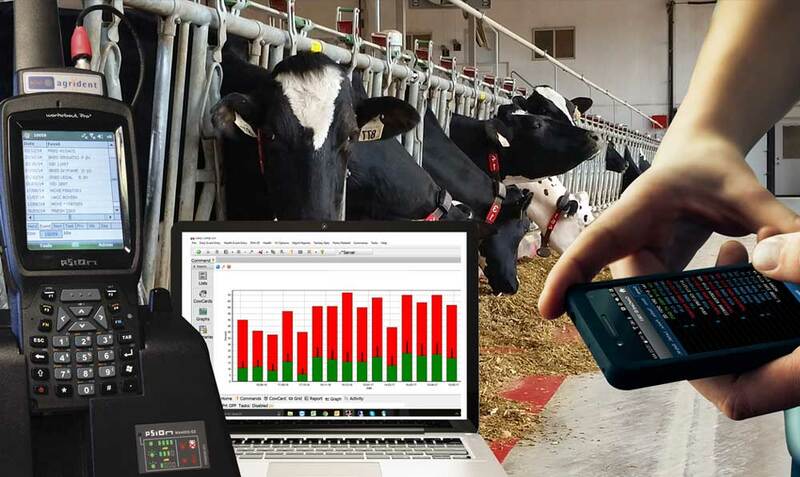 Depending on information needs, herd size, and need for electronic data transfer from a parlour or robotic milking system, there are 5 different DairyComp software programs available: 3 for herd managers and 2 for herd advisors. Herd managers can choose between DairyComp SCOUT, DairyComp 305,and DairyComp 305 LS (Limited Size). Depending on their need for data entry, herd advisors can choose between DairyComp ANALYZER and DairyComp ADVISOR. No matter which DairyComp program they choose, all DairyComp users benefit from its ease-of-use and herd management analyses. DairyComp customers also discover that the increased productivity in their herd or clinic repays the initial investment. If a herd manager and their advisor are both using DairyComp, flow of herd information becomes seamless and more productive. The ability to share herd events helps herd managers implement off-farm recommendations and save time on actual vet visits. All DairyComp users enjoy full-time access to the most competent support staff in the industry. Support for all DairyComp products is available on-site, over the phone, or via the internet. DairyComp SCOUT provides the vital information herd managers need to make management decisions that help boost herd performance and profitability. Using SCOUT, users can easily enter herd data providing them with an analysis of both herd/cow issues, and a permanent record for future reference. Commands and tables are designed to provide daily, weekly, and monthly information required to stay on top of all important management areas, including heifers. SCOUT also includes a module that allows users to register animals directly with Holstein Canada, and view herd information on a handheld device. In addition to providing all the same benefits of SCOUT, the most significant feature of DairyComp 305 is its ability to seamlessly interface with software that comes installed with parlour and robotic milking systems. Working from one computer, this interface link allows a herd manager to quickly monitor parlour performance, register calves, produce vet 'check lists', and generate lists of cows to breed. With DairyComp 305, users have the option to customize 'action lists' with the ability to generate automated lists so they are 'ready to go' as needed. It also offers a host of advanced herd analysis tools, including 'Cow Value' which examines herd performance from a profitability standpoint. Priced lower, DairyComp 305 LS is the affordable choice for smaller herds that still require the same degree of valuable features that DairyComp 305 offers. DairyComp LS comes with the exact same capabilities of DairyComp 305 with the exception of its maximum data capacity of 150 adult cows plus young stock. Obtaining data before, or during, regularly scheduled herd visits, makes consulting more productive and effective. With DairyComp ANALYZER, a herd advisor, veterinarian, or nutritionist, can quickly obtain a clients herd data either from their client or through DHI. Reports generated from ANALYZER can be completely customized both for the user and their clients. This ability, in addition to all of the built-in herd analysis tools, provides users with another key consulting capability. DairyComp ADVISOR provides all of the herd analysis features of ANALYZER with the exception of the ability to enter data for each herd the advisor is working with. This feature may be of interest to clinics or feed mills that are offering additional value-added services to their clients. 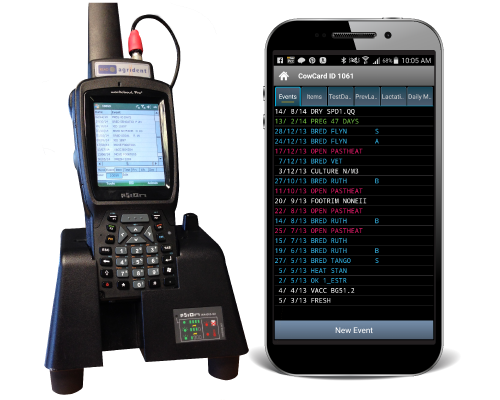 Pocket CowCard software gives you instant access to all your DairyComp information via a handheld device, Android phone, or tablet. With it’s user-friendly navigation, Pocket CowCard makes it easy to look up individual animal information, access management lists, enter data, and scan RFID tags. Mastitis 3 and Guelph AHL culture results can be loaded in Dairy Comp.